Dwyer Brothers stable-hands, Mr. Fitz's stats, etc. 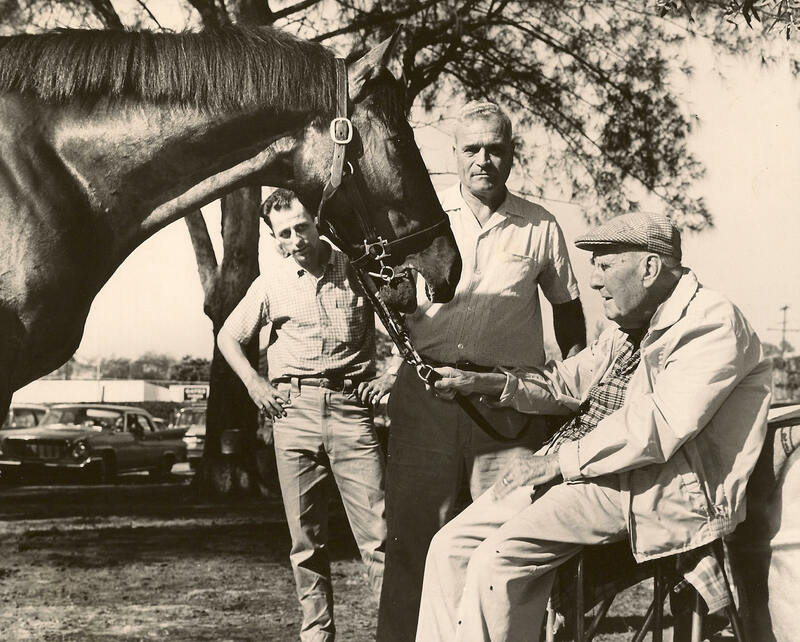 "On a mid-August afternoon in 1954 Sunny Jim Fitzsimmons, who trained Triple Crown winners Gallant Fox (1930) and Omaha (1935), was seated in a camp chair not far from the shore of Lake Desolation, his summer retreat near Saratoga in upstate New York. Nashua was four years old at the time, Bold Ruler two and Mr. Fitz 80. A crutch rested on his legs, his bow tie was sprightly and his blue eyes sparkled. 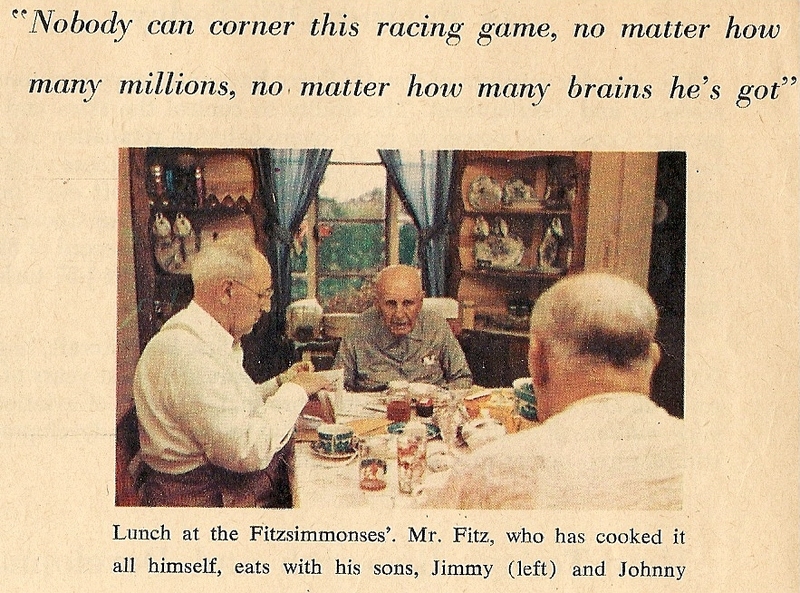 When asked how many of the 1,001 ways to lose a horse race he could name, Fitzsimmons leaned forward and said, "Probably all of them. And maybe alphabetically, too. Acting up in the gate is one, altering course another and away poorly a third. Then it gets real good—blinkers slipped, blew the turn, blocked, bore in, bore out, bothered, bumped. In the old days we had boy dropped battery. I have had a horse hit by lightning when he was on the lead, and I read about one that jumped the inner rail and drowned in an infield lake. But there really are only 1,000 excuses a good trainer can use. The 1,001st, a trainer never admits to. That is when someone else comes down the pike with a better horse and just plain beats you." in which Sportswriter William Leggett wrote an article about Seattle Slew.